The men and their tigers! 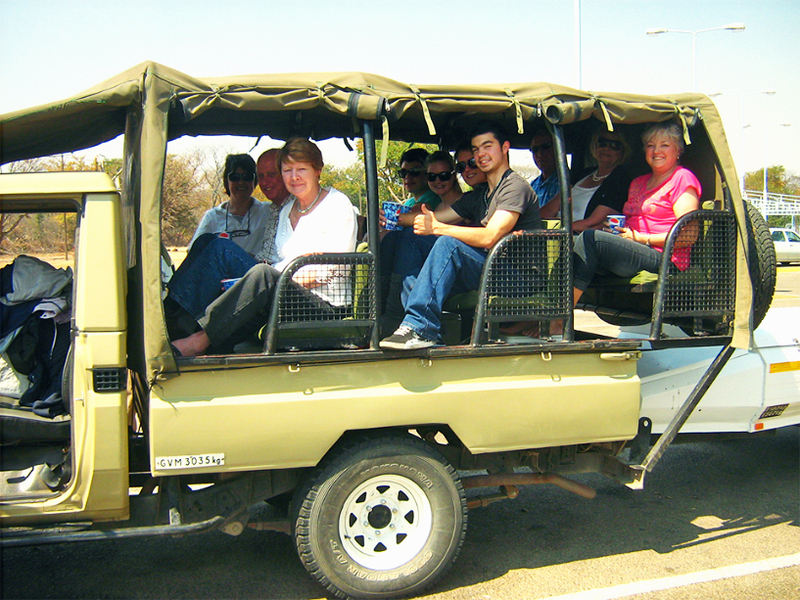 Since 1999 people have been coming to Ngwenya and catching the most remarkable tigers around! 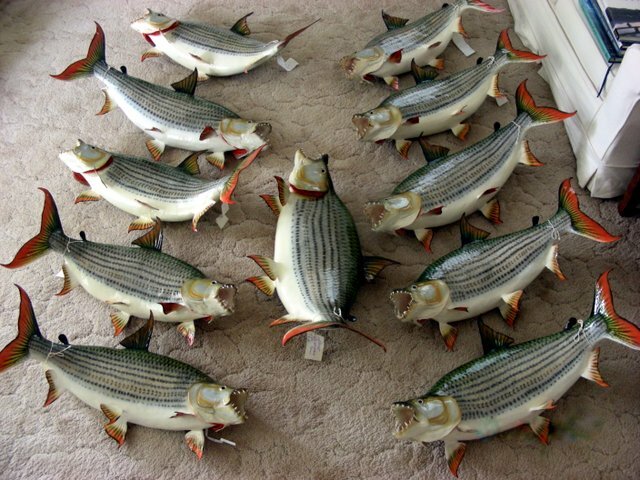 Some weighing as much as 10kg, have been kept for trophies,but if they are less than 5kg, we practise catch and release. The fight alone is worth it, especially knowing that those released will breed for future seasons, and they will be even bigger the next time we catch them! The ladies do not disappoint us at Ngwenya, they often catch more fish and sometimes even bigger fish than their male counterparts! 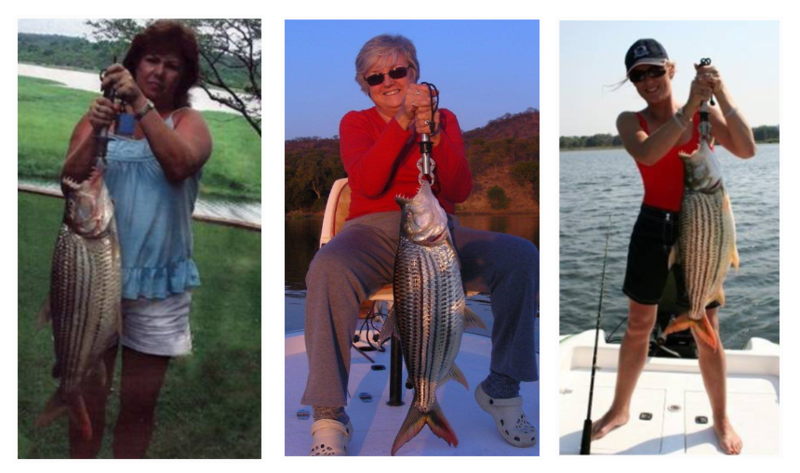 The women’s record here is a 8kg (17lb) tiger with some lovely 7kg, and 6kg fish succumbing to the charms of the female angler. Even children as young as 10years old have brought out a decent tiger or two. Here’s an example of what can be caught in one season. The trophy tigers can be mounted on driftwood and claim pride of place in your home. 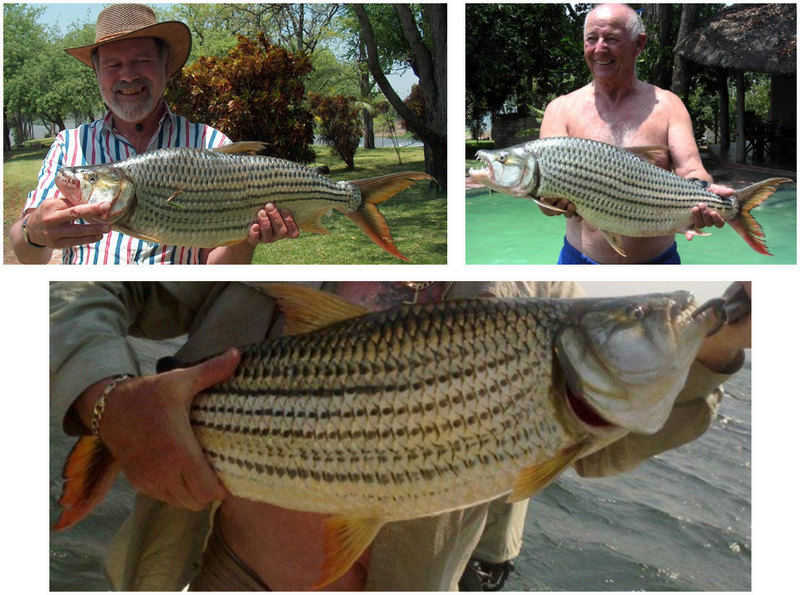 For those who want more than just fishing, you can go on a sundowner cruise, or game viewing from the pontoon. 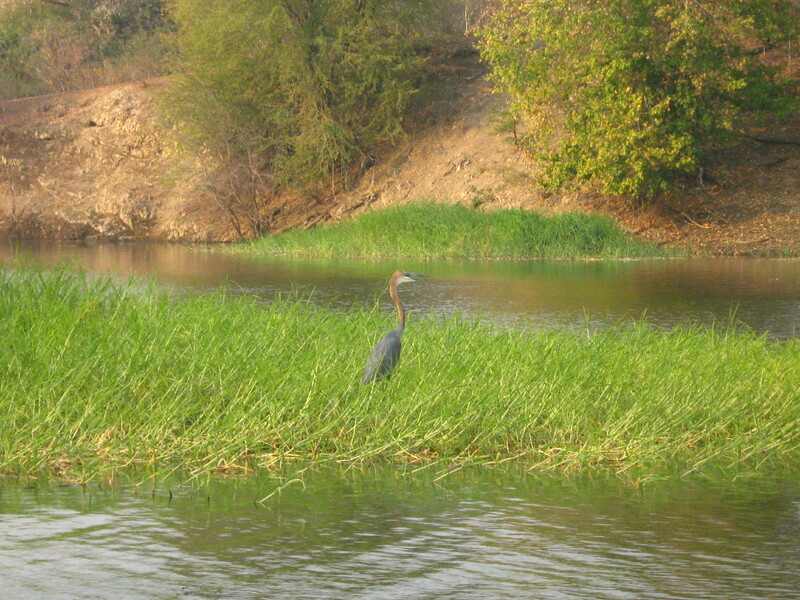 The bird life is prolific and varied, and the shores are abuzz with activity. Bring your binoculars, we don’t want you to miss out on anything! Where comfortable living meets the African bush. If you would rather stay at the lodge and relax, well the comforts of home are at your disposal, but you are still in the quietness of the bush. At the end of the week, it’s still all smiles as we take you back to the airport for our final goodbyes… until next season!